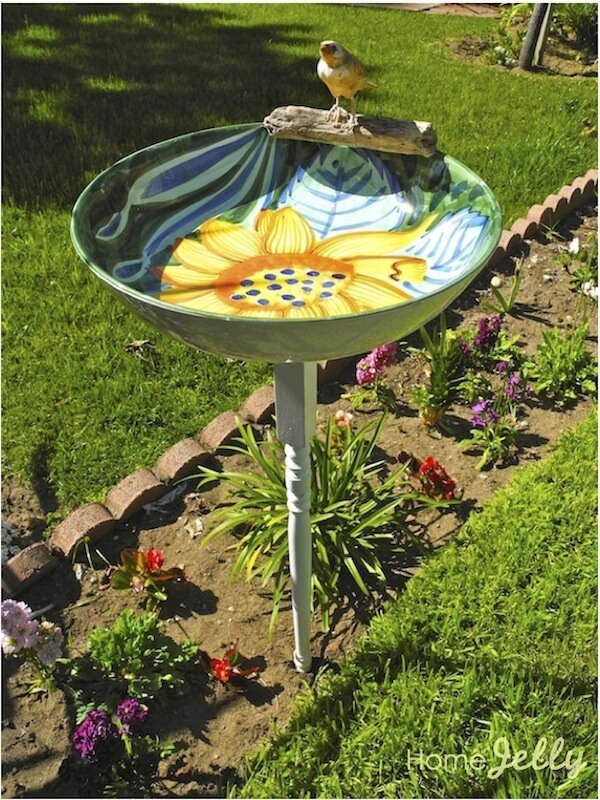 Songbirds are attracted to yards where fresh water is available. 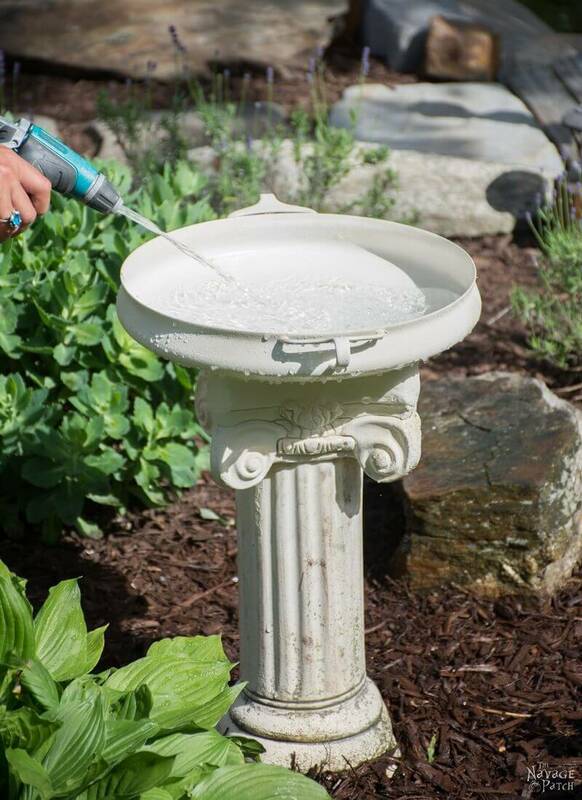 Make an inviting bath for your favorite birds and watch their numbers grow day by day. 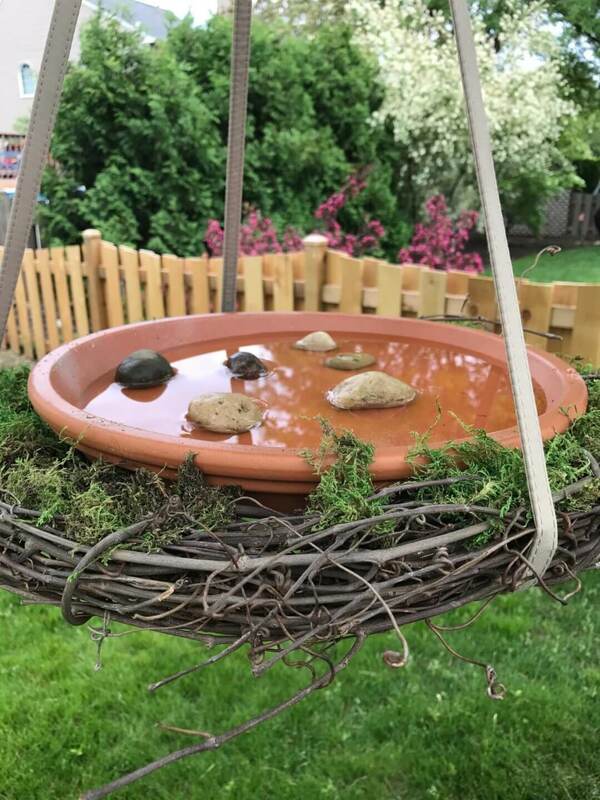 To make a DIY bird bath, all you need are a few simple materials and some creativity. 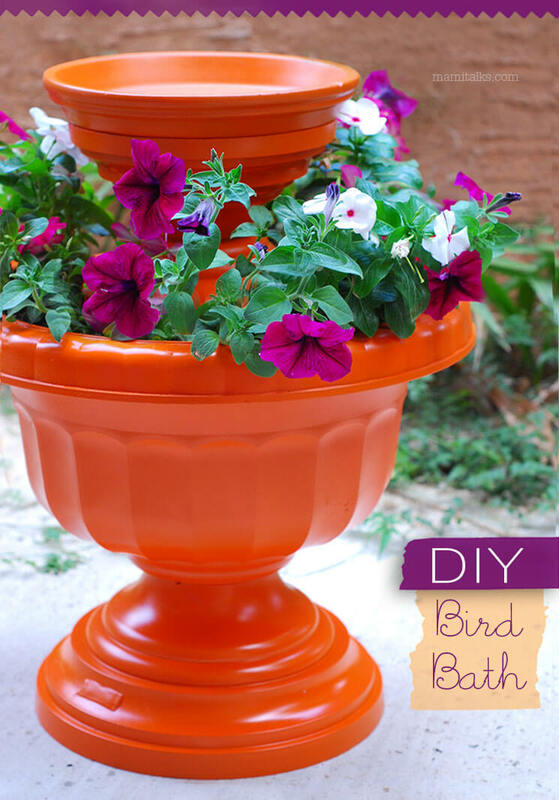 Upcycling old dishes and flower pots is an easy and fun way to make a bird bath at home. 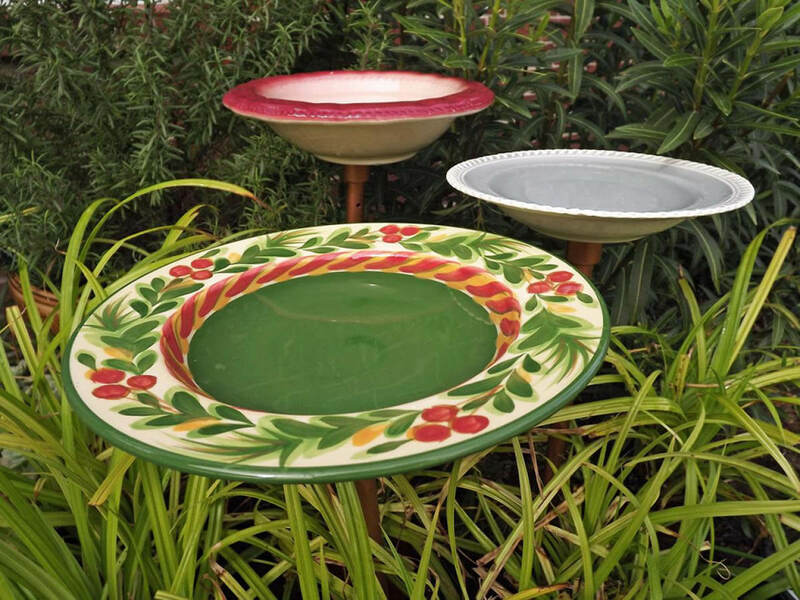 Simply attach the dishes with epoxy glue and paint them however you wish. 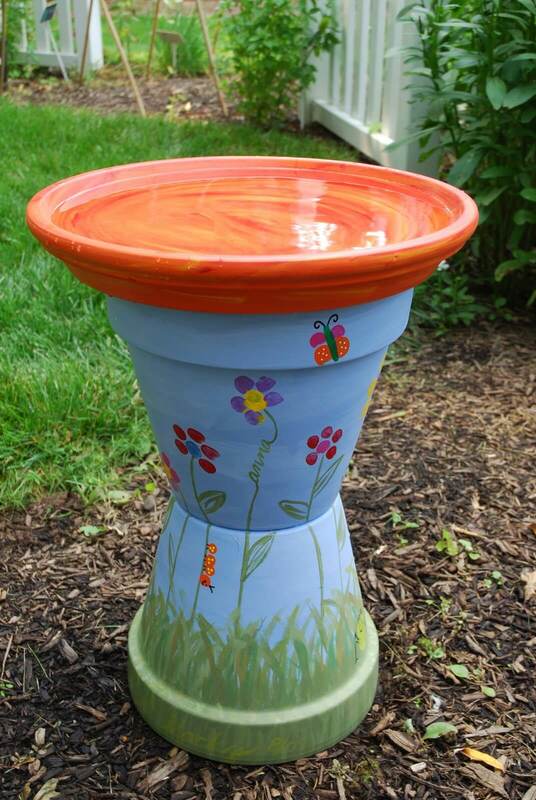 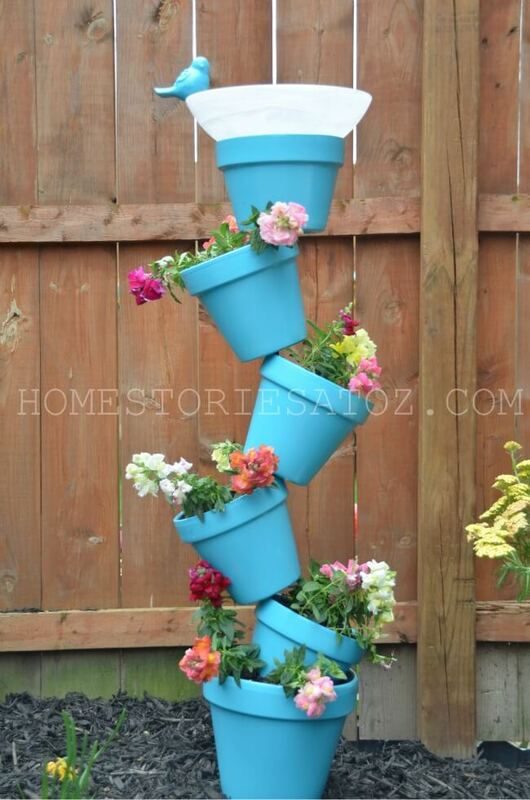 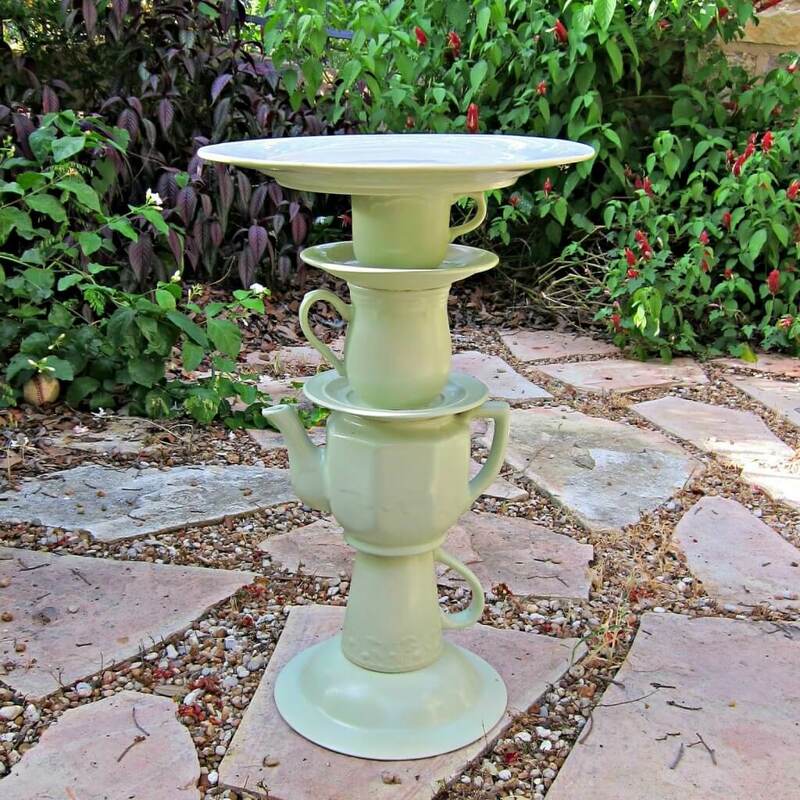 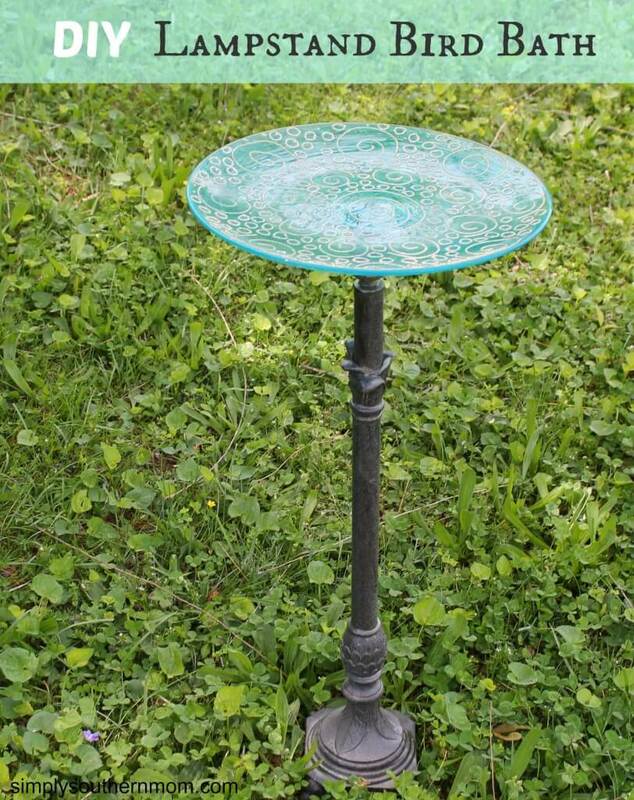 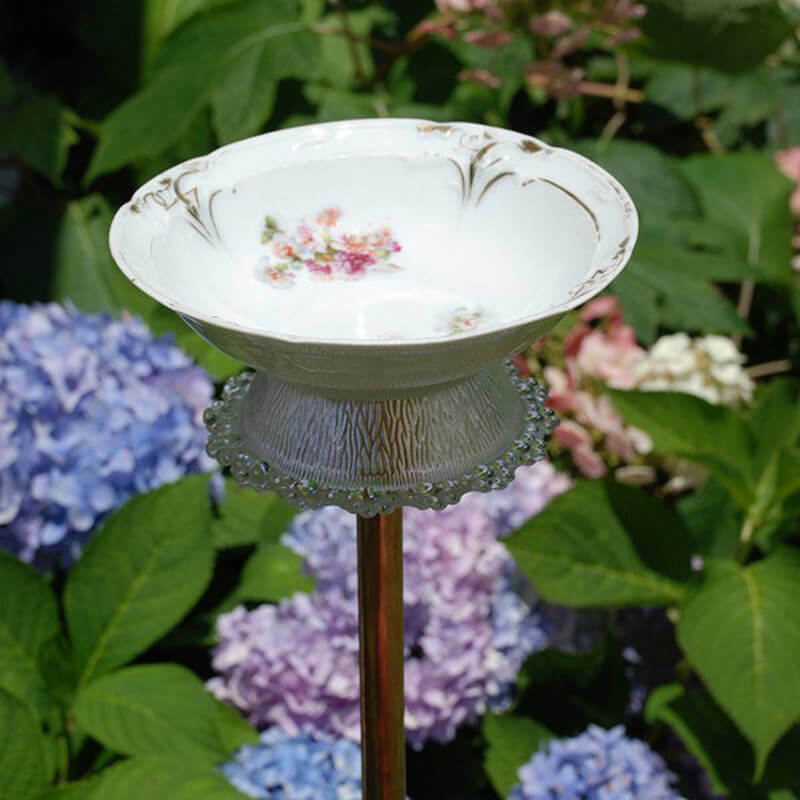 You can stand your bird bath on an old candlestick or table leg, or sit it on top of a larger overturned plant pot. 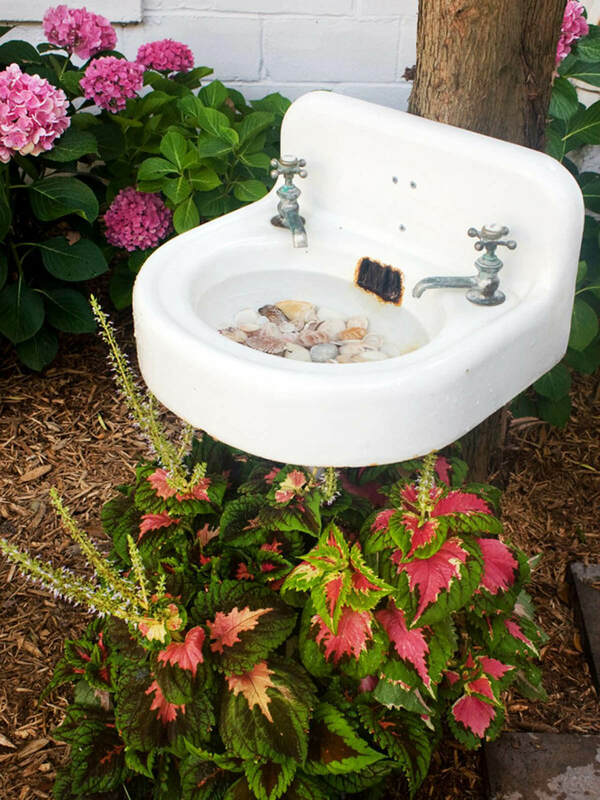 A quirky idea for a bird bath is to put an old bathroom sink in your garden. 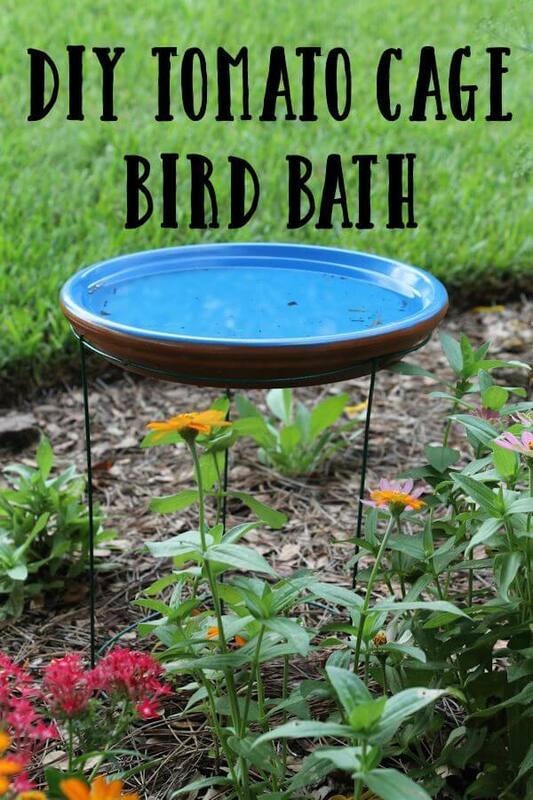 This makes a roomy bath that the birds will love. 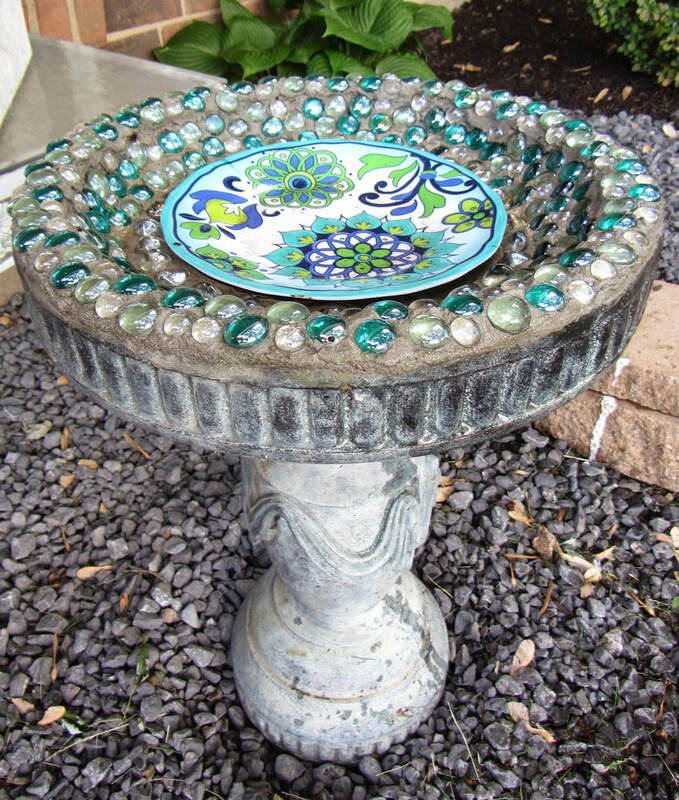 The easiest bird bath comes when you place trash can lids on stacks of stones. 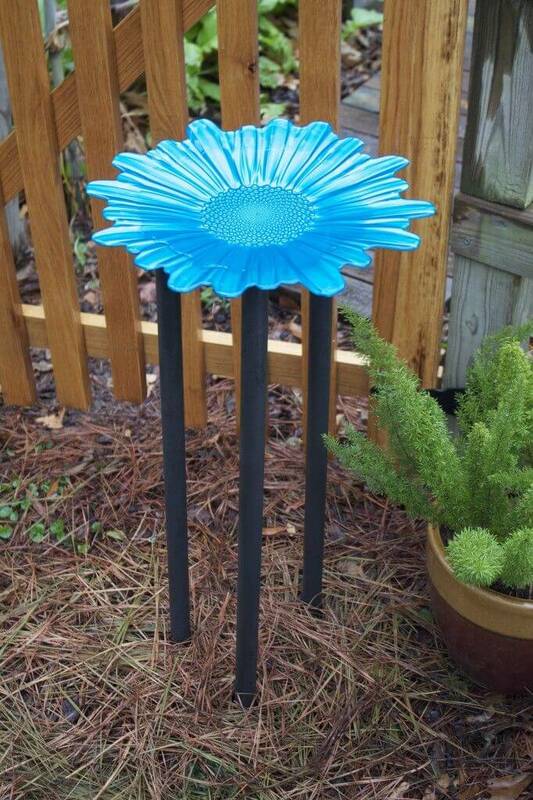 This provides a unique industrial look to your yard. 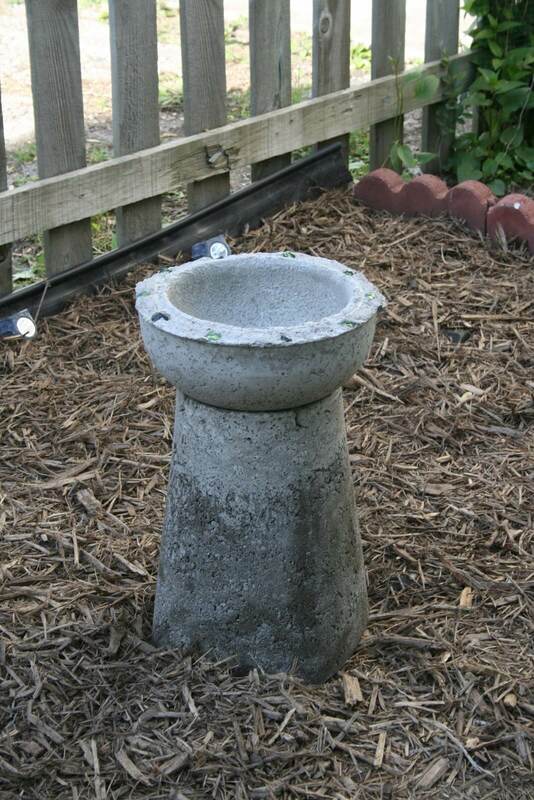 A more difficult idea which is still attainable is making concrete bird baths at home. 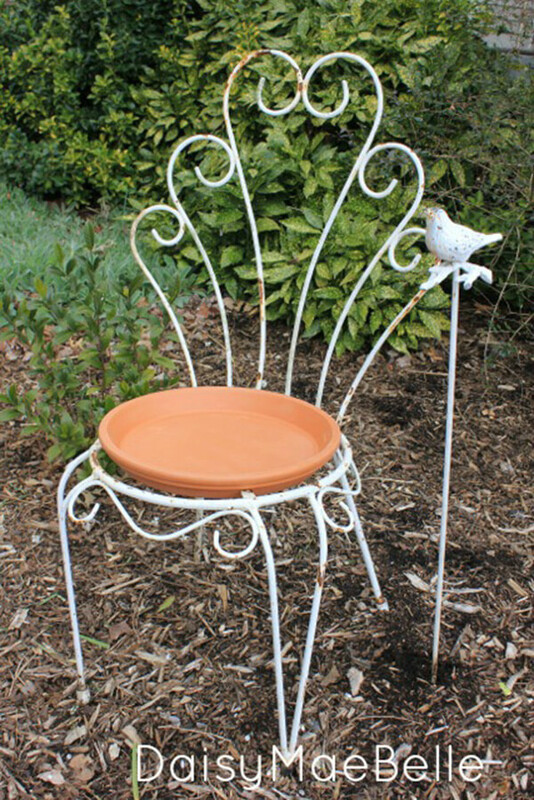 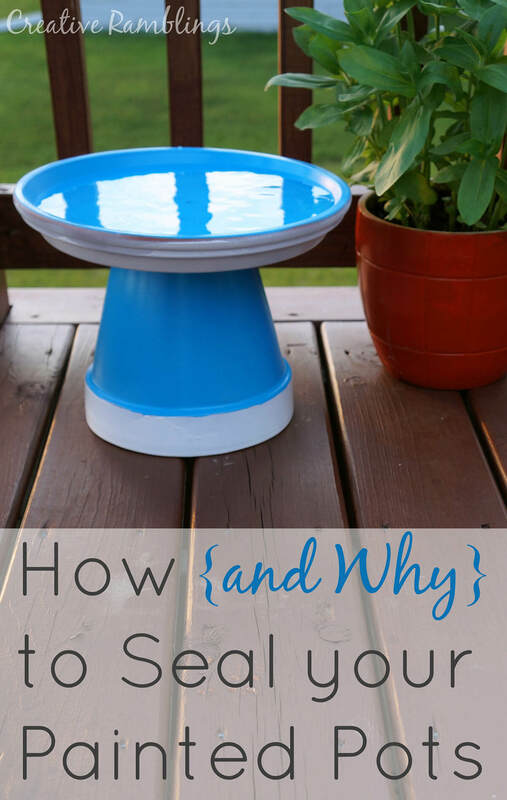 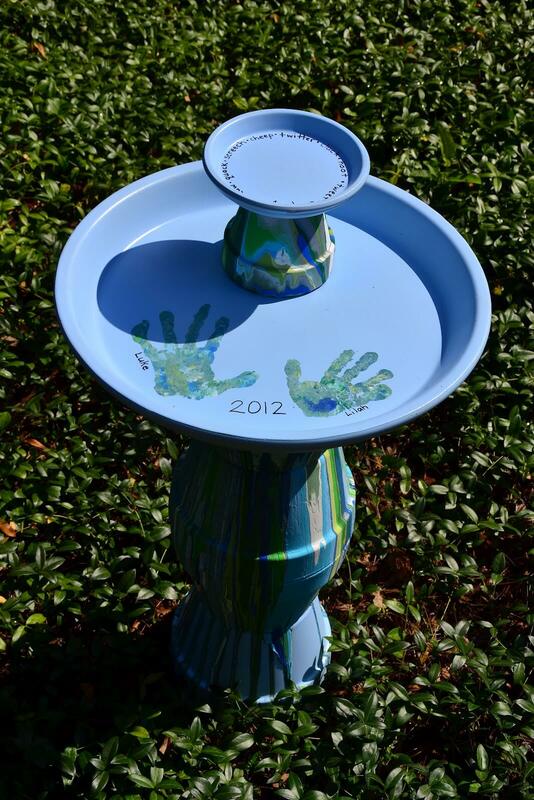 When you look around your house and garden with fresh eyes, you will find items that you can upcycle into a DIY bird bath. 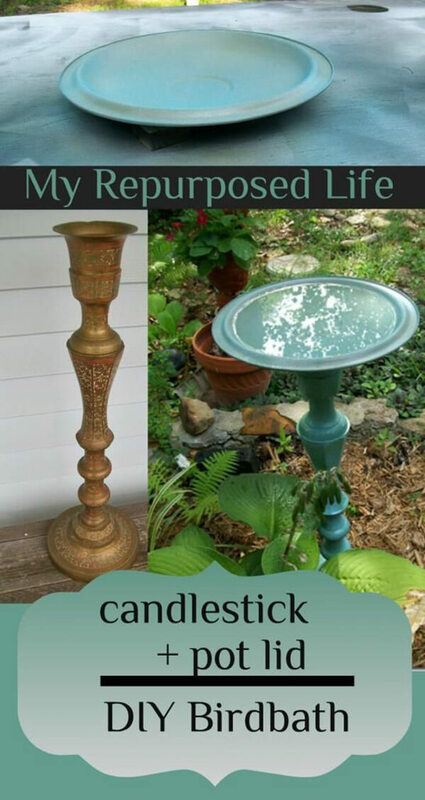 You can also visit the thrift store or a yard sale for materials.